HELPOST Announces The Launch of Its Website: A Social Professional Platform! 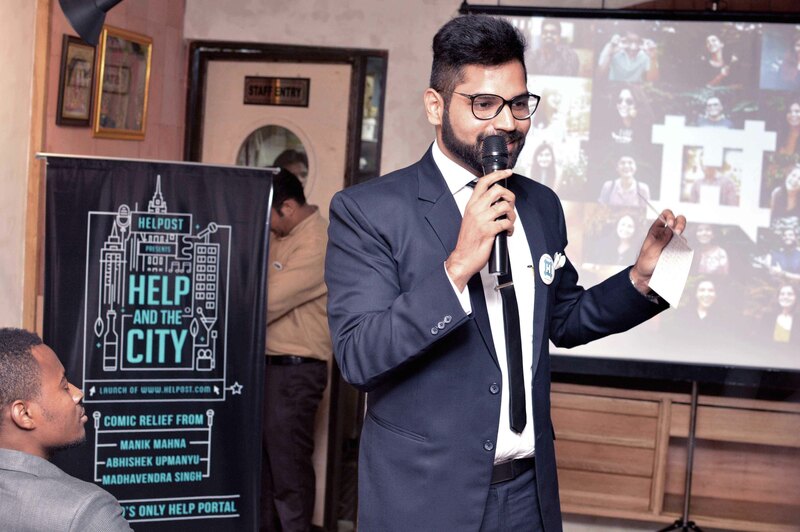 New Delhi recently witnessed the launch of Helpost.com – an online pro – social, professional platform based primarily on the power of crowdsourcing and #hashtags – at Uzzuri Deli & Bar, Uzzuri Deli & Bar. After the success of the initial MVP with over 200,000 users worldwide, Helpost.com is happy to announce the launch of the Helpost Business Pages, which has about 50,000 businesses already registered on it. The event saw prominent professionals from the Delhi corporate circle witness the launch of the world’s biggest help network. The night was complemented by canapés and cocktails at Uzzuri Deli & Bar, including entertainment by Manik Mahana, Abhishek Upmanyu and Madhvendra Singh for comic relief. Helpost is a vast, peer based network based on collectively sourcing solutions for any problem under the sun with the help of its supportive community. In a matter of a year, Helpost has managed to reach out to over 200,000 people through its various help initiatives. Surpassing the success of most networking portals by a considerable margin, Helpost is spread over eight metropolitan cities across the length of the Indian subcontinent, with plans to spread out to the rest of the world well in the pipeline. HELPOST an all stop ‘Prosocial- professional and social networking platform’ based primarily on hashtags. Helpost is a peer based web portal designed to provide solutions to all of your problems. You can be looking for repair persons or high-end professionals, general advice or directions; Helpost crowdsources the solution from your local communities throughout the World. Helpost is primarily aimed at making sure that the number of steps between your query and its resolution are minimized to the bare minimum. neighbourhood. The concept behind Uzzuri is discovery – of food, people and places. Each branch of Uzzuri will shape itself to its neighbourhood, find people worth talking to, places worth visiting in the area and celebrate local flavours with as much aplomb as it does its own food.